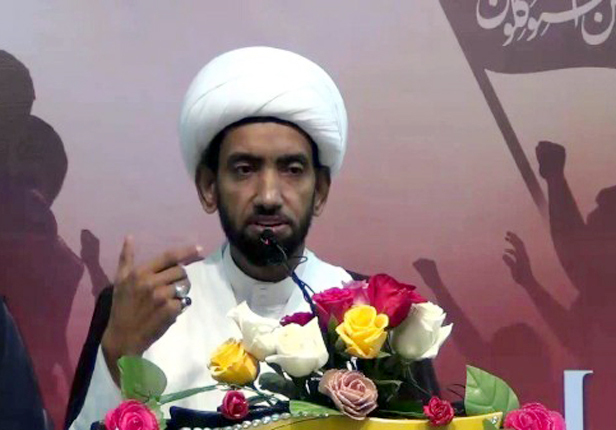 The Bahraini security authorities released on Thursday (October 19, 2017) Shiite cleric Sheikh Abdulzahraa Al-Mobasher after two years of arrest over the charges of inciting hatred against the regime. The authorities accused Al-Mobasher (37 years) of inciting to hold protests and insulting a person who is glorified in another sect (Muawiyah Bin Abi Sufyan), over the background of a sermon he delivered in Ashura in a mosque in Nuwaidirat. The public prosecution accused Al-Mobasher of publicly inciting hatred against a sect on October 17, 2015, not following the rules, publicly insulting the executive power, insulting a figure glorified in another sect and calling to hold protests and assemblies. The First Instance Court sentenced him on December 10, 2015 to 2 years in prison and the Appeals court upheld the verdict issued against him on March 28, 2016.